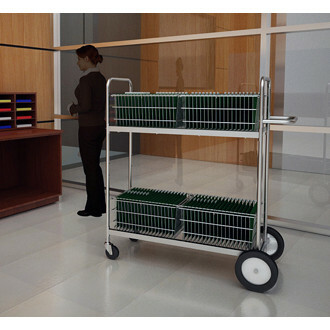 This mail cart gives you a higher top basket - no bending for taller mail center and office personnel. Pick up and deliver large an abundance of mail and packages. 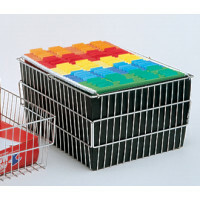 High capacity mail distribution carts will help you get the mail out faster, the secret is in the removable wire baskets. While the mail cart is out on "rounds." extra baskets (Part 207TB sold separately) can be in the mail room sorting mail for the next delivery. Handles 300+ mail stops in one trip! 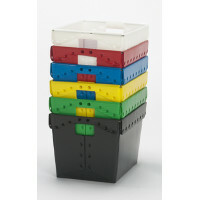 Hanging file folders sold separately. 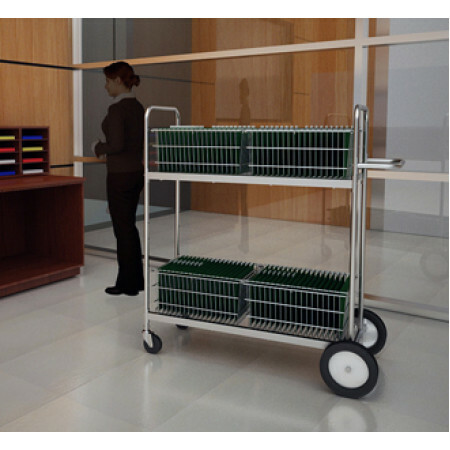 IMPORTANT: This cart is designed for taller mailroom personnel so they won't have to bend over retrieving the mail. 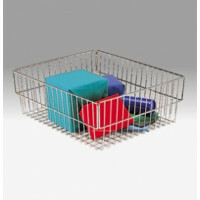 Has a basket height of 49". • Strong tubular steel frame. • Lower frame has 4 heavy duty 14 gauge wrap around brackets for a tight fit. • Features 10" rear wheels and 4" front swivel casters.